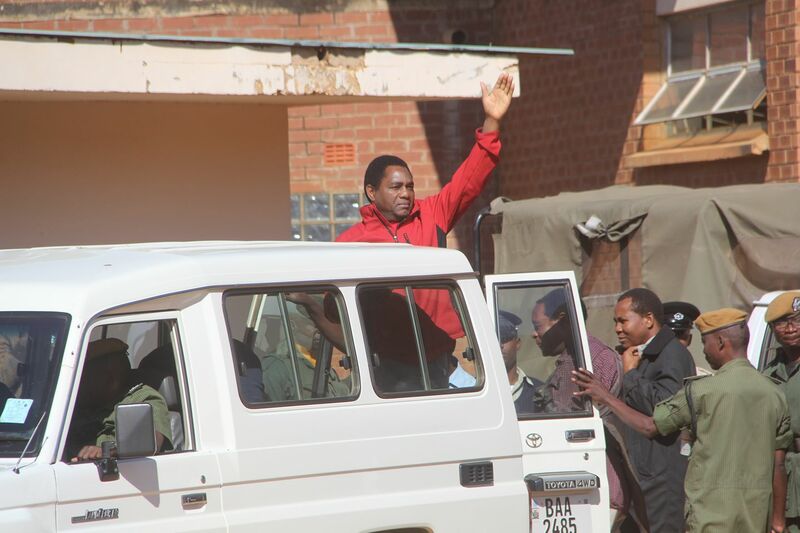 What Hakainde Hichilema is going through is political persecution. His appearance in court once in a while is meant to legalise his suffering. HH is innocent and does not deserve to be in prison even for a minute. But what is shocking is the compliant attitude of his party, the UPND. How deep has the PF and state agents infiltrated UPND for the them to abandon HH? As you are reading this, HH is detained at Mukobeko maximum prison, his family is prevented from seeing him. Mukobeko is not a correctional facility. It is hell. HH is detained for refusing to recognise Edgar Lungu as president. That is the only offence he has committed. But the UPND has allowed Lungu to punish HH using the police and courts. Why? UPND controls half the country. But how come when their leader has been captured by enemies, the UPND is not able to protect him? How much has UPND MPs and other leaders each received to betray HH? We understand UPND veep Geoffrey Mwamba’s precarious position. He might not be in a physical jail but he is a virtue prisoner as the PF is watching each and every step he makes and waiting to pounce on him so that he joins HH in detention. But where are the other UPND leaders? In case some people have doubts about where this case is going, we shall put it plainly for you. HH is innocent. This is indisputable. BUT, HH will be jailed for treason by PF courts. The reason is simple: this is a political not criminal case. Lungu has been testing the environment. He first violently picked HH from his house using brutal police men who urinated and defecated on HH’ bed. There was a bit of reaction by the UPND. Had the UPND reacted accordingly and in proportion to the violence that Lungu used to abduct HH from his house, HH would be free by now. But Lungu was encouraged by the lukewarm response by the UPND. So he detained HH and it is now two months. The UPND is silent. The UPND saw how David Simusamba, a PF cadre sitting as magistrate conducted himself by refusing to attend to HH’s case for a month. The UPND did nothing. Lungu and his henchmen were encouraged further. Last Thursday, Lungu through his police and prosecutors committed HH to the high court for a crime he did not commit. There was no reaction from the UPND. On Friday, Lungu moved HH to Mukobeka where he will be probably for the rest of his life. The UPND is very quiet. This is puzzling and perplexing. In fact, it is now chiefs Monze ans Mukuni, plus Charles Milupi, Mike Mulongoti and Nevers Mumba who are fighting for HH. The UPND structure is no where in the picture. What is cooking? There is something fishy going on here. We will not be surprised to discover that UPND leaders are receiving bloody money from PF to cooperate on the persecution of HH. What are we talking about? We have said before and we are saying now that this is a political matter than can only be handled by political means. When HH was detained at Lilayi, we had expected the whole UPND rank and file to camp at Lilayi. When he was moved to Lusaka’s Chimbokaila, we had expected UPND cadres to surround that prison day and night. Currently, UPND supporters were supposed to be trooping in Kabwe in numbers. But it seems something is holding them back. And we are convinced it’s not just the fear of the police. There must be something more persuasive. Money for example. Protesting and demonstrating is not a criminal offence. So why are the UPND not protesting against the detention of their leader? Where are UPND MPs who are supposed to coordinate such protests? As far as we know, they only issued one statement then scattered. We note that MP Garry Nkombo is working very hard. But it seems he has taken the role of HH’s wife and cooks. Nkombo was supposed to make sure that no sugar leaves Mazabuka to go and feed HH’s enemies. As we explained above, protesting and demonstrating is not a crime but a democratic right. The UPND has total support in some regions of the country. Clearly no one expects people in Lundazi to protest the arrest of HH, but why can’t the UPND occupy the streets in the regions they have total support? A simple analysis shows that if the UPND was to ‘occupy’ the regions they control Zambia’s economy will be paralysed within two days. Is it not a fact that beef, electricity, water, sugar and now copper just to mention a few is mostly from regions controlled by the UPND? Where are the most important entry points into Zambia as far as cross border trade is concerned? We are not persuaded by arguments that the UPND are afraid of the police. The police can not handle any angry mob. Just last week, people in Batoka demonstrated how fragile the PF police is. The police were beaten 10 – 0. What more if the demonstrations were to occur at the same time across in all areas where HH has total control? During Kuomboka, we all saw the level of support HH has in that part of the country. Lungu failed to address the people as everybody walked out of the arena just after HH and GBM walked out. This is what really pissed off Lungu and made him to cook up treason charges against HH. That support simply needs to be marshalled. But there is no one in UPND to mobilise HH’ supporters to save him from his enemies. Then there is this fear of a state of emergency. We find this ‘fear’ to be self serving, and convenient. Kenneth Kaunda ruled Zambia using a state of emergency but when the time came, he was kicked out and the state of emergency did not save him. If HH was abducted from his house without a search warrant; if people are prevented from visting him in jail, then we do not see how worse off Zambia will be under a state of emergency. The UPND needs to be on the street to protect HH using protests which are legal and basic political rights. If there is anyone in UPND who thinks that the PF courts will free HH without political action from UPND, then that person is a fool. Why do you think Lungu moved HH to Mukobeko last week? Simple; he knows he will be in jail for a very, very long time since UPND is compliant. Do you know by the way that the courts have not even allocated a judge to try HH? No, they have not. What will be happening tomorrow is not the real trial. HH won’t even be there. 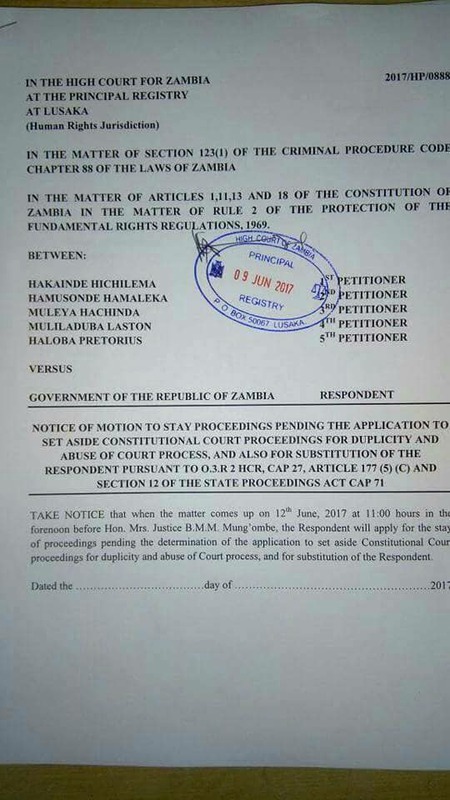 Instead, HH lawyers will be asking Judge Betty Mujula Mungoma to try and quash HH’s indictment (charges). Judge Mungomba is generally a sober and professional judge, hopefully the PF have not reached her to corrupt her. Now there are two things here. Judge Mungomba can quash the indictment and set HH free. That would be good. But take note that this effort by HH’s lawyers can take a very long time, and if judge Mungomba does not quash the indictment, that is when the real trial of HH will start. Already, the PF regime has started playing delaying tactics to make sure judge Mungomba does not make a ruling anytime soon. HH’ s prosecutors have already submitted documents to the effect that they will try to (stay) stop Judge Mumgomba from proceeding with this hearing. 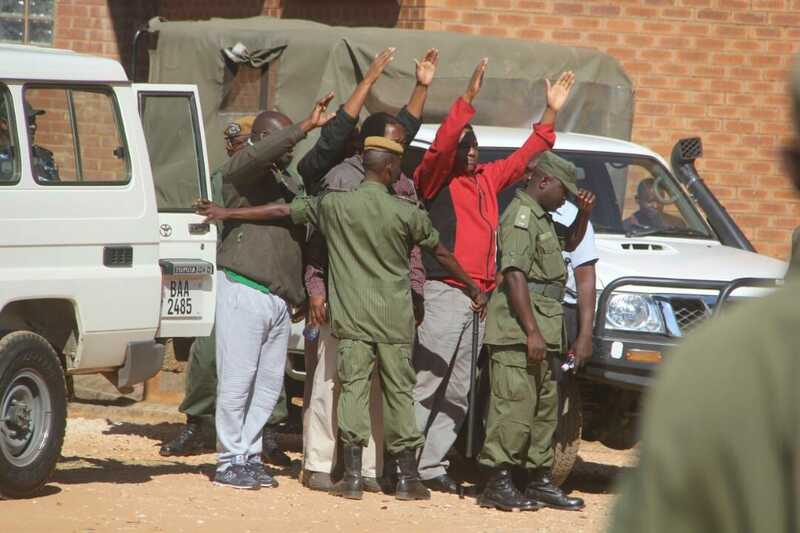 The prosecutors will argue that the effort by HH’s lawyers to have indictment quashed is an abuse of the court. And in the meantime, HH will remain in Mukobeko. Is the UPND waiting for HH to die or what?